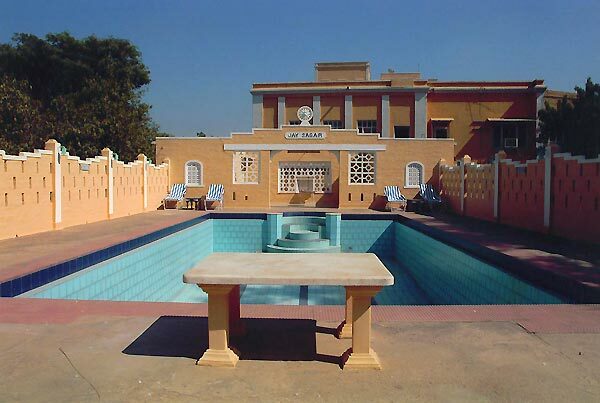 Nawalgarh can be termed as a perfect combination of traditions and modernity. In one part of this town one can come across a complete array of conventional Havelis decorated with beautiful murals and frescos where as on the other side you are pleasantly surprised with the modern upkeep of some of these Kothis well equipped with the state of the art devices. Amongst many other Roop Niwas Palace is one such architecture which symbolizes a perfect blend of European and Shekhawati Rajput elegance. The Kothi build by Thakur Roop Singh ji and Rawal Madan Singh ji is situated around a kilometer away from the actual town. It has been illustrious for its extravagant yet warm hospitality. Situated far away in a reclusive environment the Palace is an ultimate resort for people seeking privacy and comfort of home. The scenic beauty surrounding this Kothi further adds up to its charm and enigma. 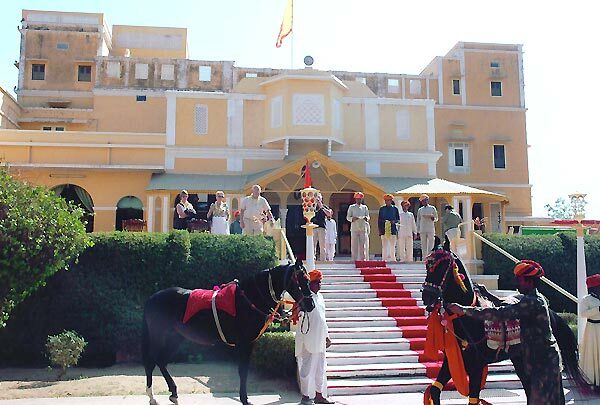 Once here, be prepare to experience the authentic Rajasthani culture and affability. Roop Niwas Kothi is not just about ambience and scenic beauty; you should embrace yourself to indulge in pure mouth watering Rajasthani delicacies and cuisines. Equipped with all kind of modern facilities this palace has beautiful gardens and lawn to host all type of outdoor activities. One can also pick private garden villas for more comfort and discretion. A billiard room and swimming pool are added benefits for every guest to enjoy. Some of the bonus activities hosted by this exclusive Palace are jeep tours, Horse and Camel riding, blissful walks in semi desert areas etc. It can be an interesting surprise for bird watchers as Roop Niwas happens to be a paradise for birds. With its delicately carved designs and cozy interiors the Kothi is an exquisite illustration of beauty and intimidating charm. The reminiscent palace is suggestive of a bygone romance and though has been converted into a hotel yet has well succeeded in preserving the ancient and mystic beauty emanating from its structure.